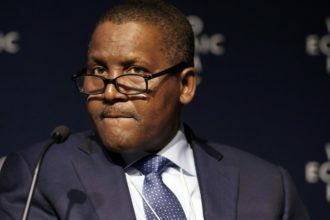 Nigerian Billionaire Aliko Dangote Now World’s 23rd Richest Man. Aliko Dangote, who moved 20 spots from his earlier position of 43rd richest and is now the world’s 23rd richest man, according to Forbes. The moghul, who has interests in cement, sugar, flour and beverages, is now worth $25 billion and also the first black man to be named among the 25 richest people in the world. American billionaire, Bill Gates has reclaimed the title of world’s richest person from telecom mogul Carlos Slim Helu of Mexico after a four-year hiatus. Gates has raked in an extra $9 billion in the last one year and has been at the top of the list for 15 of the past 20 years.